Objective: This research is focused on how vegetation and fuel conditions have responded spatially and temporally to prescribed fire over the past 15 years. This research is being conducted at the Teakettle Experimental Forest and will evaluate 1) how thinning and burning treatments have altered structural heterogeneity and understory plant cover and diversity; 2) how resilient the different treatments are to the on-going drought in California; 3) how local factors influence tree growth, mortality, and resilience to drought; and 4) how predicted fire behavior and effects vary 15 years after treatment. 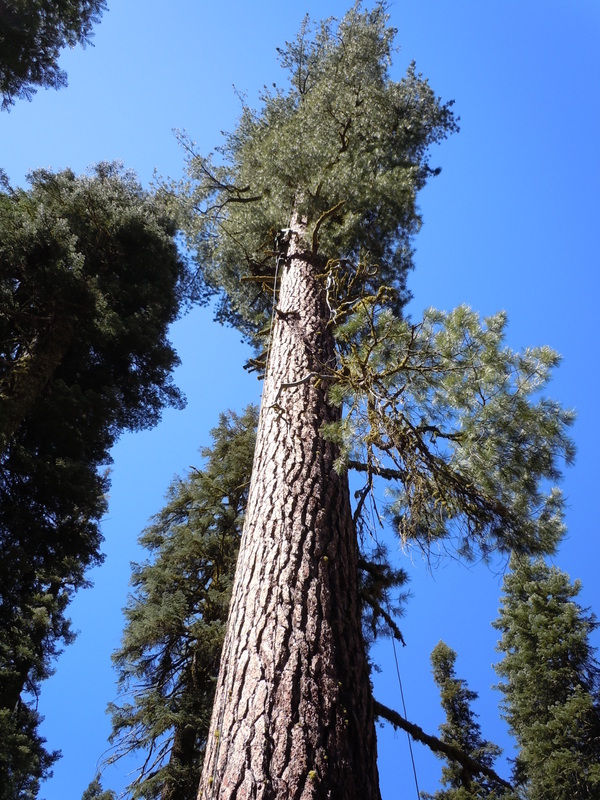 This project builds on previous research at Teakettle that covered many aspects of this Sierran mixed-conifer forest ecosystem. There is a video on the outreach page (fire and fuels) summarizing what we have determined from previous research at the site and providing background information on fire and fuels. ​Goodwin, M.J., M.P. North, H.S.J. Zald, M.D. Hurteau. 2018. The 15-year post-treatment response of a mixed-conifer understory plant community to thinning and burning treatments. Forest Ecology and Management 229:617-624.